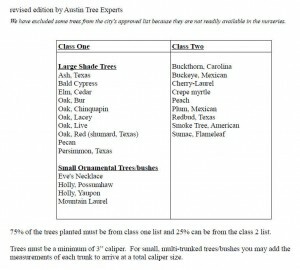 As a landscaper, your job might not be to manage tree ordinance compliance, but planting trees from this specific list will help your client (the contractor) keep their costs down. Planting trees from the list below will count toward the tree mitigation fines. Any plantings that are done as a requirement to the landscape plan do NOT count toward tree mitigation. But, if you happen to plant above and beyond the requirements then the extra will count. 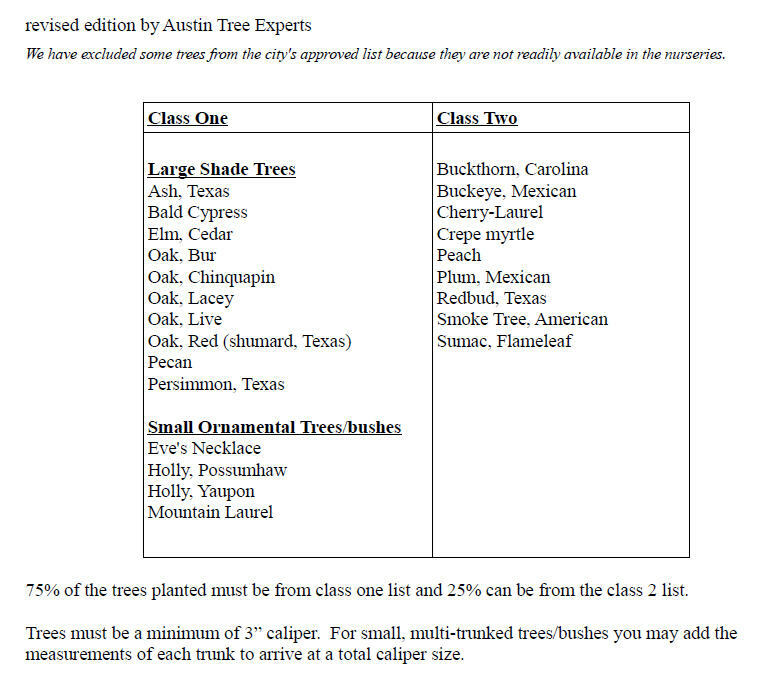 75% of the trees planted must be from the class one list; 25% can be from the class two list.